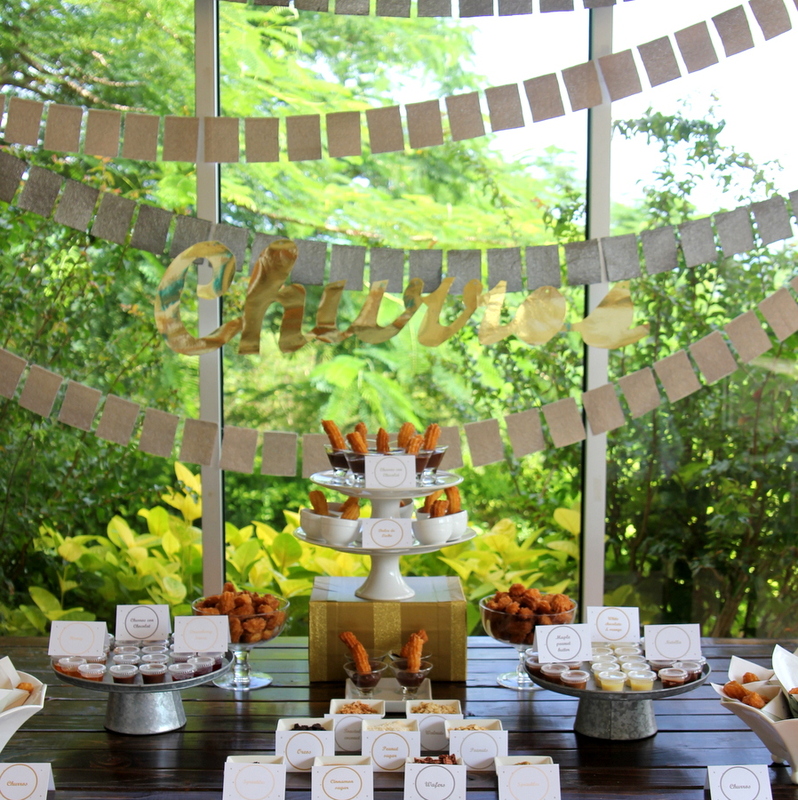 So once upon a time, back a few months ago, we had a Churro Bar as part of Piper’s Sparkle Party. But then I never shared it on here. 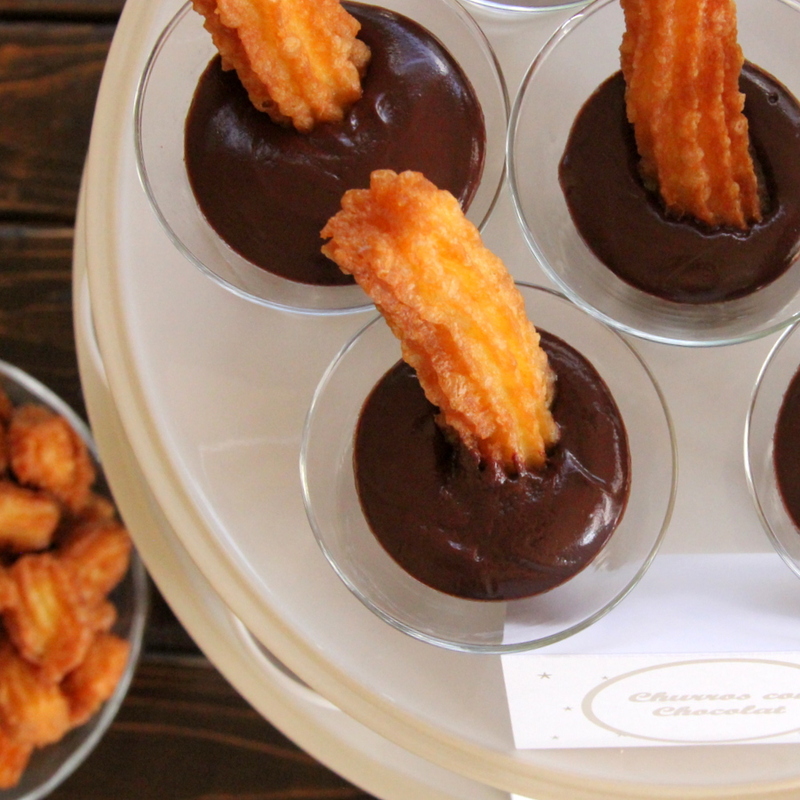 Churros and a whole buffet of dipping sauces need to be shared, y’all, even a few months late. 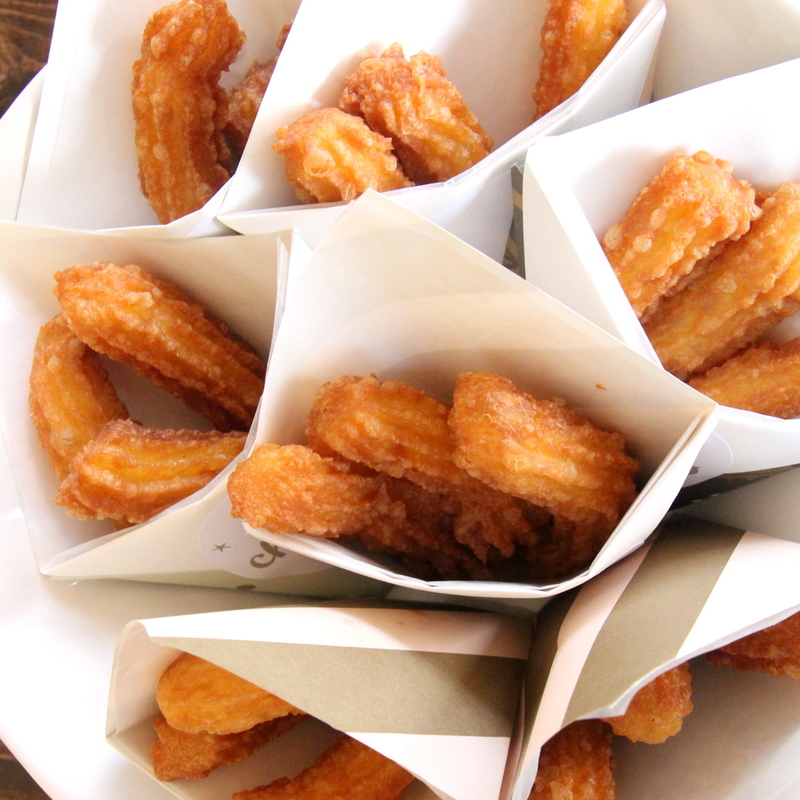 And this is perfect for those of you whose New Year’s Resolution is “eat more churros.” There are probably lots of those happening, right? Anyway, back to the Churro Bar. 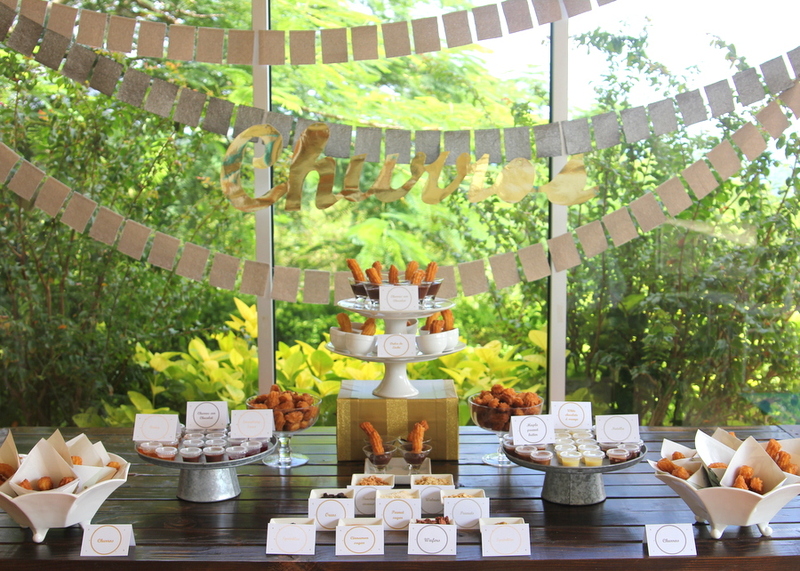 Since Piper Jane is a churro afficianado, and since our local superstore here in Saipan carries frozen churros (well, at least in theory), we settled on a Churro Bar for Piper’s birthday party food station pretty easily. You see how I said ‘in theory’ up there, though? 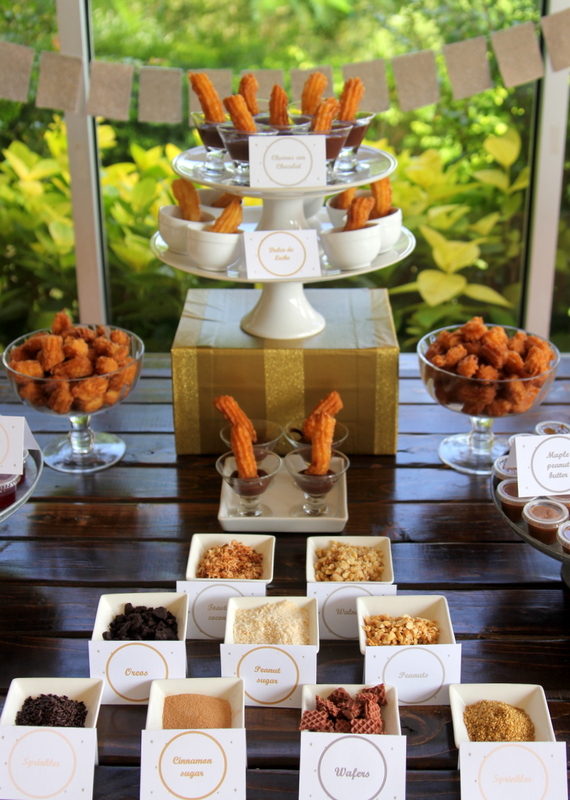 When you live on an island that is reliant on boats and airplanes for things like frozen churros, you should go into all parties with a Plan B for all food stations. Lesson learned. Our Plan B this time? 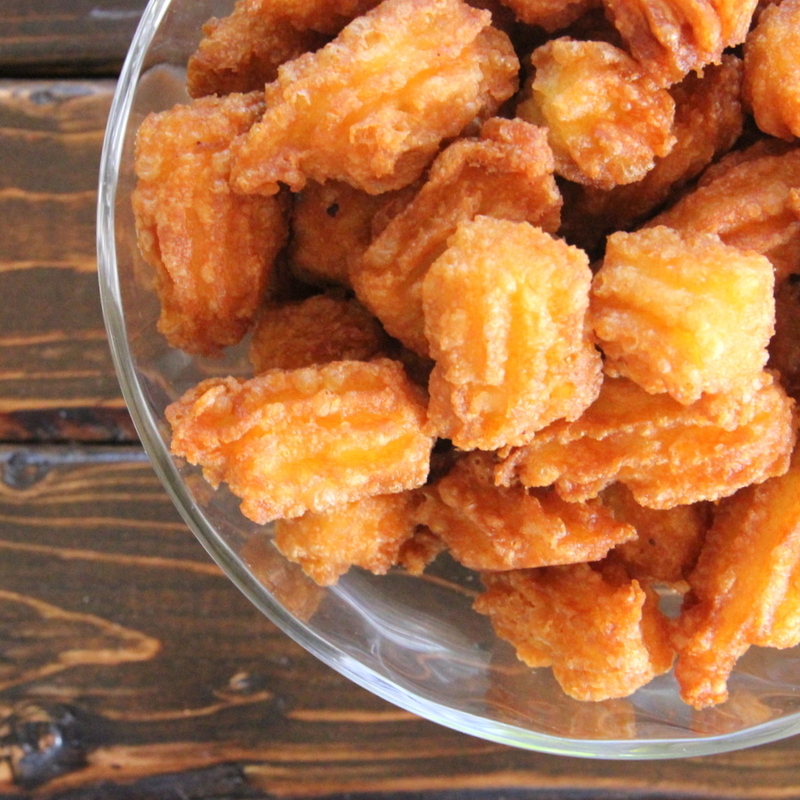 Make all eighty churros (and some churro bites) from scratch on the back porch the night before the party with a borrowed fryer. Yep, it is super fancy around here folks. And despite the churro availability mishap, the Churro Bar turned out great (perhaps even better with the addition of homemade churros? 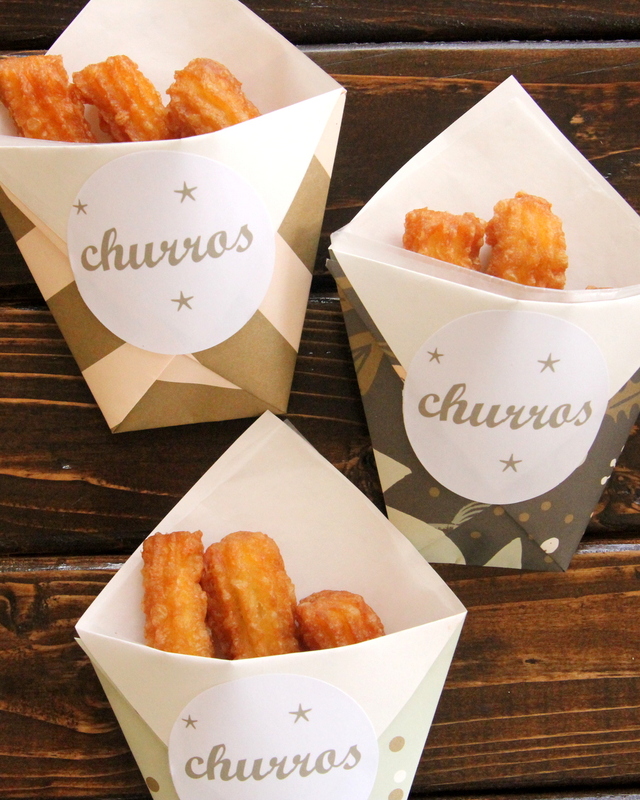 Though, to be honest, I didn’t try them- I was a bit ‘churro-d out’ by party time). It’d make such a great addition to Valentine’s party, too! A few dipping sauce ideas? Homemade chocolat (white chocolate with orange, dark chocolate and milk chocolate with peanut butter), homemade dulce de leche, honey, and strawberry sauce. 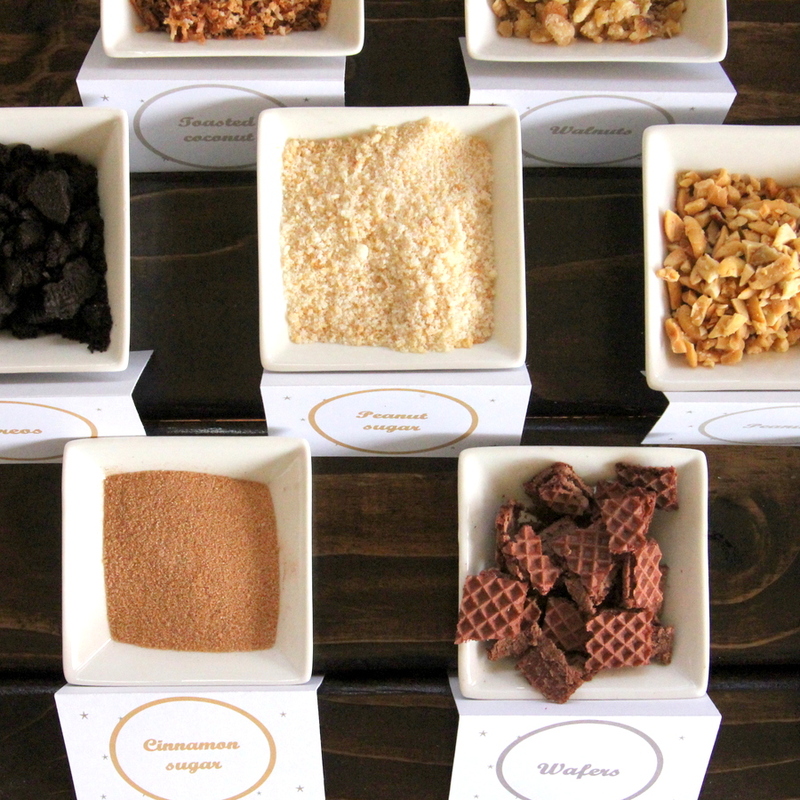 We also had various toppings- cinnamon sugar, peanut sugar, crushed nuts, wafers, walnuts, Oreos, and toasted coconut. Yum! Like I said, perfect party fare! Nicole, it was such a funny night. We were churro-delirious by the end- haha. 🙂 And you do live in a great place for churros- YUM! I am considering doing the same for a bridal shower.. So you didn’t coat them in anything before hand? Hey Nissa- we coated about half of them (served in the footed bowls on each side of the table) and left about half of them bare for people to choose. 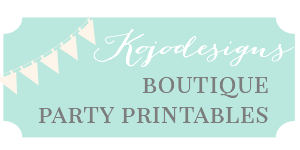 😉 What a fun idea for a bridal shower!!! Love this idea! I’m tryng to recreate something similar and was wondering about the containers and stickers and banner you used. Did you create that yourself? Hey Tabitha- yes, I designed the Churro labels. I can list them in our etsy shop if you can’t find anything else. 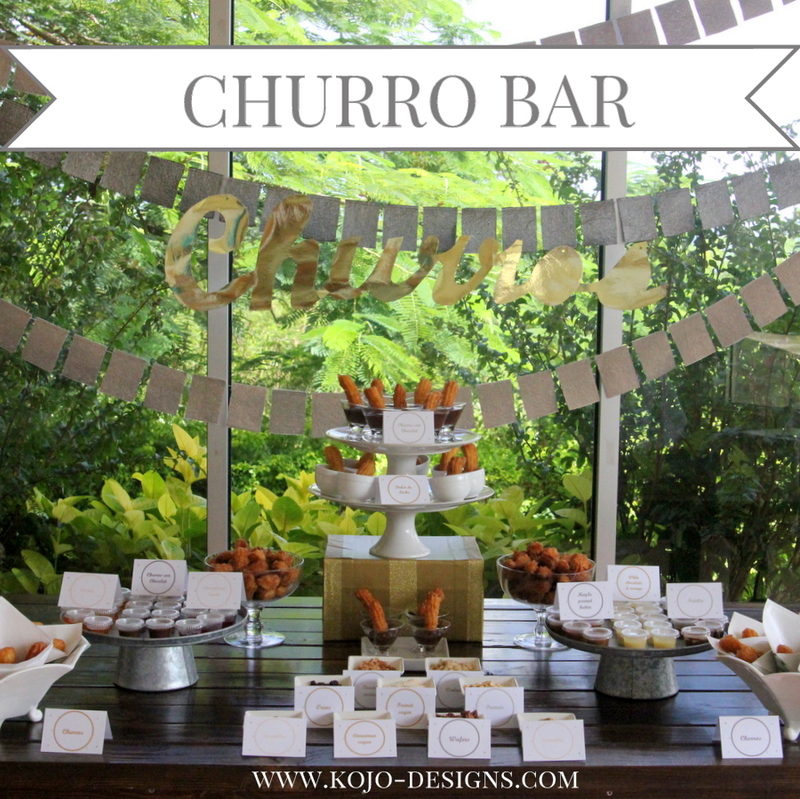 And I love it that you’re doing a churro bar- so fun!